In the foothills of South Carolina lies the beautiful, historic college known as Converse. It was founded near the end of the Victorian Age by several of Spartanburg's leading professionals who believed that "the well-being of any country depends much upon the culture of her women." 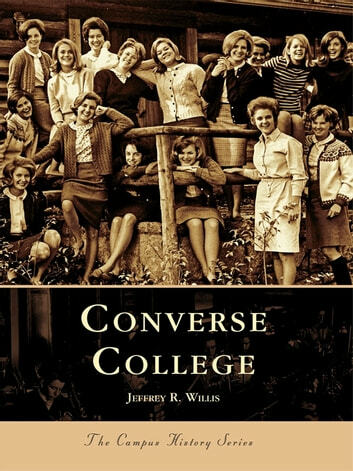 Their vision of providing higher education to women has now been carried into a second century and has allowed Converse to touch the lives of thousands of people. 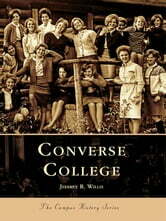 Converse College is a pictorial tribute that honors one of the leading women's institutions in the Southeast. The volume is arranged in chronological order and offers varied views of campus architecture as well as individuals who have walked its grounds over the past 112 years. Vintage photographs show Wilson Hall as it first appeared before the fire of 1892 and how it reemerged afterwards; they show college founders, leaders, and teachers-those who contributed to the growth of the school and its students. Perhaps most importantly, the images within these pages celebrate the students of Converse College, not only by presenting their faces, but also by showcasing photographs taken by the students themselves.